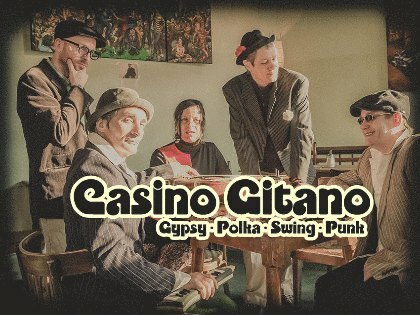 BalkanBeats comes back and introduces to us another great band - Casino Gitano! 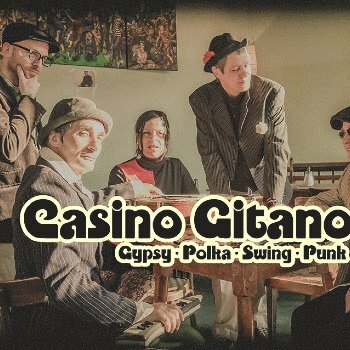 The musicians of Casino Gitano have shaped Berlin’s music scene for many years. Like a chameleon, Casino Gitano constantly reinvents itself. Returning to their musical roots as grunge and punk musicians of the early '80s and '90s, they combine elements of Gypsy, swing, jazz and flamenco with punk influences. 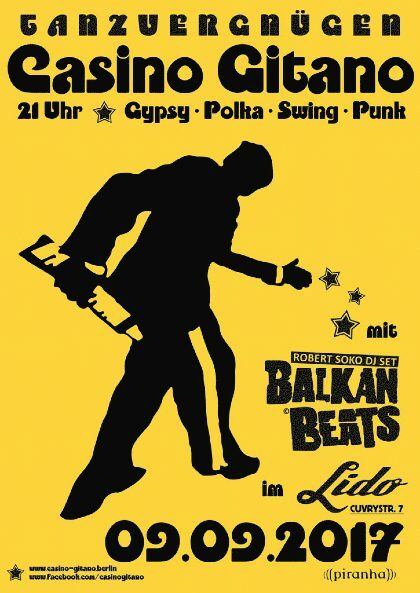 We are happy to present their concert at Lido on September 09! 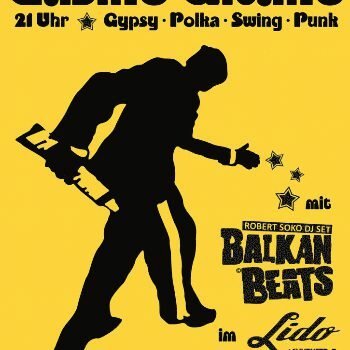 Be prepared for stomping Gypsy Polka rhythms, melodic Balkan beats, and a live performance full of vitality and energy! After the show Robert Soko together with Uros Petkovic will share some more musical ecstasy to the crowd!